I’m recommending a play on the Detroit Pistons plus the points on Tuesday night. Those who have been following me in the NBA know how much we have enjoyed the Detroit run. The Pistons, Stan Van Gundy in particular, gave Josh Smith his walking papers following a loss to Brooklyn on December 21. 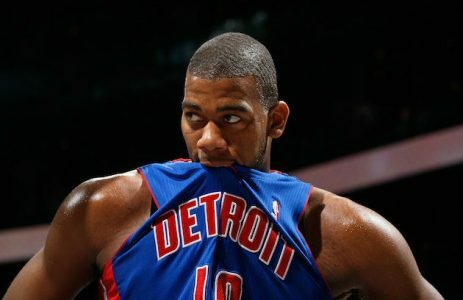 It marked the Pistons fourth straight loss, allowing 112.5 ppg in the process. They stood 5-23 at the time of the loss. Detroit has not lost a game since then. They enter San Antonio on a 5-0 SU/ATS run and we have been on them more than once. What stands out the most is their play on the defensive end where they have allowed just 85.5 ppg in their last four. That’s 27 fewer points allowed per game than they allowed during the final four games of the “Josh Smith-era.” Van Gundy spoke of the team’s new attitude before the win over Sacramento. He mentioned the way the players are looking out for each other on the floor, looking for the open man and creating for their teammates. This was not the case when Smith was “poisoning” the locker-room. Yes, the competition steps up big-time tonight, but so does the line…we’re getting four buckets at the time of this post. Kawhi Leonard is still out with a hand injury and Tony Parker is listed as questionable for tonight’s contest. Whether Parker plays or not I expect Detroit to keep this one inside the number. Besides their current 5-0 SU/ATS run, the Pistons are 16-5 ATS on the road against teams playing better than .600 basketball at home. I’m backing them again. I’m taking the points with the Pistons on Tuesday. Thanks & GL! Scott Spreitzer SWEPT his card at this site for the second straight night, including his MISMATCH GOM WINNER on Michigan State. Scott’s slamming the books with his CBB TUESDAY NIGHT KNOCKOUT, a side backed by combined spots on a 15-3 winning run. SLAM the books again!